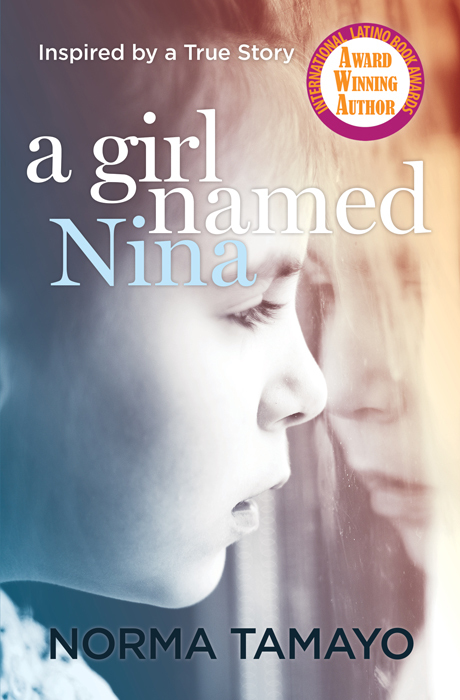 Nina has a dream… but first she must survive childhood. Based on a true story, A Girl Named Nina paints a vivid portrait of life in 1960s Brooklyn. Nina grows up in a tenement with Puerto Rican parents who came to America seeking a better life. Her father adores and protects her, teaches her to read, and encourages the many gifts he sees within her. Her mother is nurturing in her own way, as she struggles quietly with her own difficult past. Keenly aware of her surroundings from a very young age, Nina learns about the joys of childhood from a fourth-floor windowsill in her parents’ apartment. Still too young to jump rope and play stick ball with children on the busy street below, she witnesses life from within the halls of her building — including physical and sexual abuse — but tells no one what she has seen. For Nina, the joys of coming of age are tempered with life’s many harsh realities: her parents’ separation, physical abuse, a friend’s drug use, her best friend’s murder, and the poverty that surrounds them all. Yet her spirit remains undaunted. Nina will not abandon her dream — her lifelong desire to become a doctor and rise above the hardships she has known, so that she can help guide others to a brighter future. Norma Tamayo was born and raised in New York City. She is of Puerto Rican descent and is bilingual in English and Spanish. As a transient child herself, Norma spent most of her childhood years living in apartment buildings in Brooklyn and later in Jersey City and Hoboken. A playwright, Norma directed high school students as they performed in her stage play, Enough is Enough, Stop Teen Violence. She made her acting debut in Stand and Deliver at the Genesius Theatre in Reading, Pennsylvania. Norma worked at The Reading Hospital for a number of years as a registered nurse. She is a nationally certified and licensed massage therapist. She currently teaches the Health Medical Professions program at Reading Muhlenberg CTC, where she works with high school students. As the advisor of her HOSA Freedom Chapter, Norma earned the Outstanding HOSA Advisor award in 2008 at State and National levels. Her chapter has received the Outstanding Newsletter and Outstanding HOSA Chapter award for more than six consecutive years. Norma resides in Reading, Pennsylvania with her loving family. Common Reading Selection for the 2017–18 School Year, Penn State University, Berks Campus. Honorable Mention, Best Young Adult Fiction Book, 2014 International Latino Book Awards.